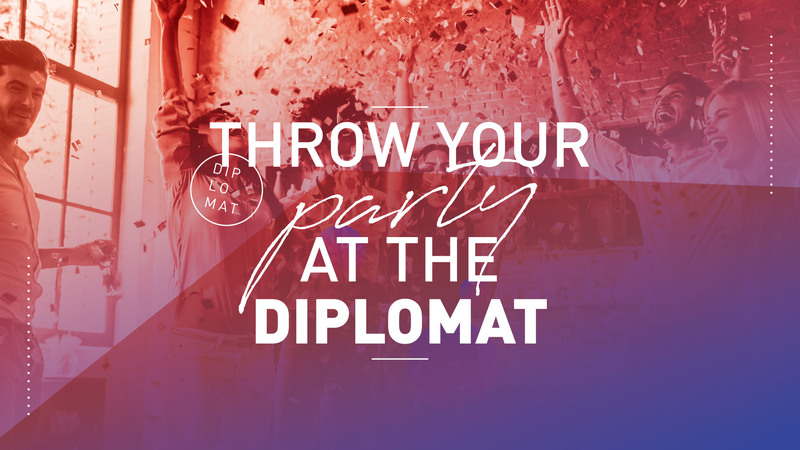 Our newest addition, The Diplomat, is a restaurant and event space located on King William Street which will occupy the space formerly known as Baltimore House. The Diplomat is a casual, diverse eatery inspired from global street scenes and markets. The eclectic decor is modern, colourful and exudes a fun and energetic atmosphere. From high top tables, to lounge chairs and bar stools, this space can transform to meet the needs of any guest or group size. Great for a group get together, a casual bite before or after a concert, a place just to hang out with friends while indulging in one of our many specialty cocktails or unique beer selection. 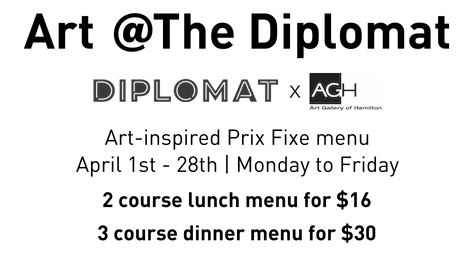 With a focus on great cuisine, beverage, atmosphere, music, art, and diversity, the Diplomat hopes to contribute toward Hamilton’s evolving narrative by providing a space that celebrates all things culture.